The “Atkins: Eat Right, Not Less” book contains simple whole food recipes along with tips for low carb eating success. 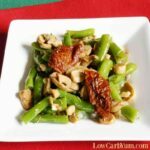 When I first switched to a low carb eating plan, the plan I followed was the classic Atkins 20®. 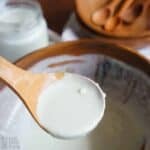 And, like many, I turned to it to drop weight quickly and improve my health. 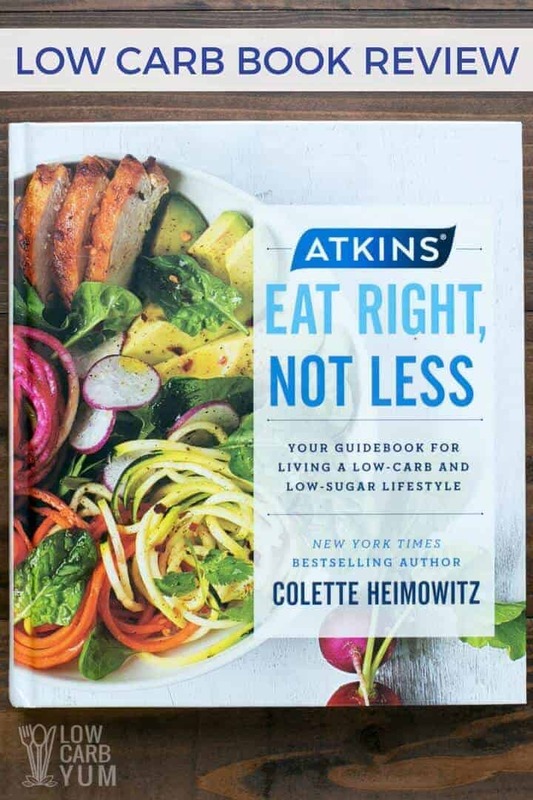 If you aren’t familiar with Atkins, I’d recommend reading the book, “Atkins: Eat Right, Not Less” by Colette Heimowitz. In this post, I’ll be providing a review of this new book from Atkins. In the book, Colette provides an easy guide for moving to a low-carb and low-sugar lifestyle. 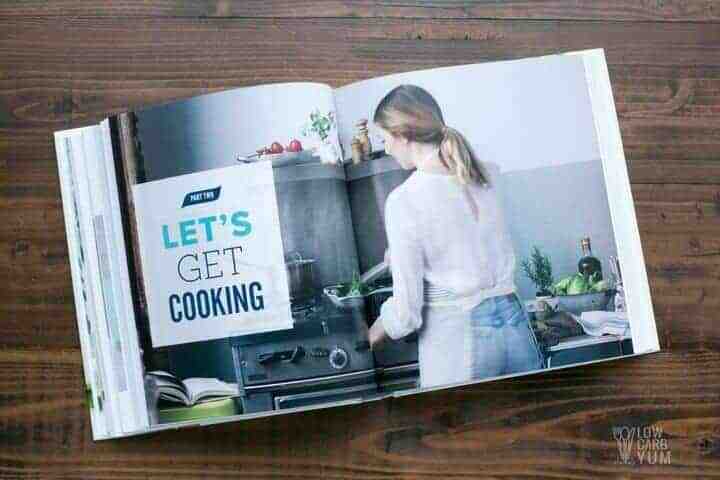 But, there’s also 100 delicious whole food recipes that anyone will enjoy. The first part of the book focuses on the basics for moving to a low carb diet whether it be Atkins 20®, Atkins 40®, or Atkins 100®. 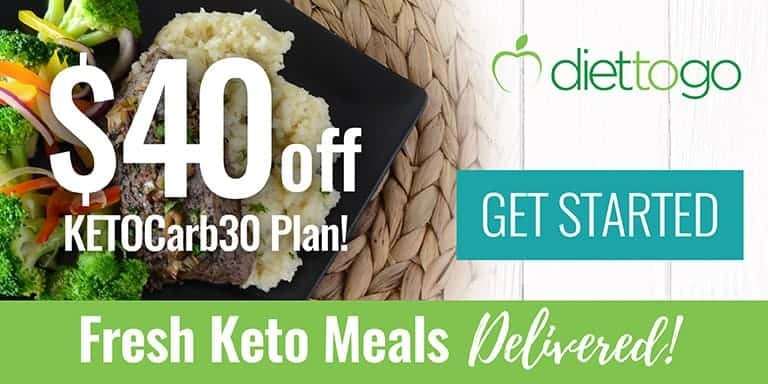 Included are two week meal plans for each Atkins plan to make it easy to get started on the one you choose. In the book you’ll learn about the hidden sugar effects that can be avoided by following a low carb eating plan. And, the Atkins plans in the “Atkins: Eat Right, Not Less” book are supported by over 80 science based studies. 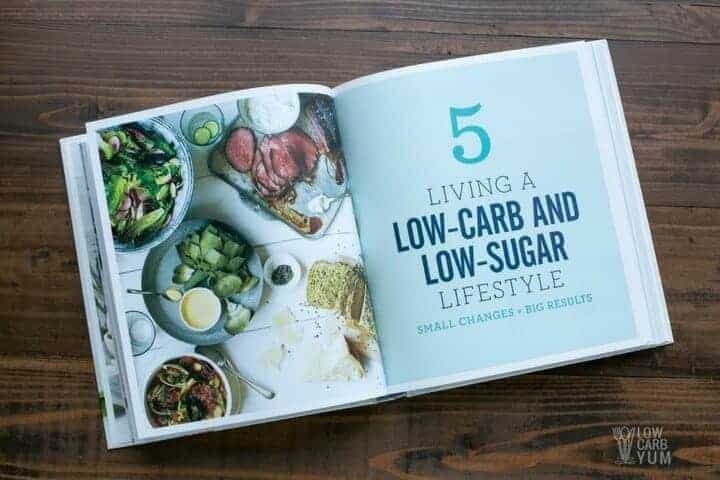 Part one of the book provides many helpful tips to make the switch to a low-carb lifestyle easier. There’s some excellent advice given for eating out, celebrating holidays, eating on the road, and how to get through a long work day. With the three different Atkins plans, it’s easy to choose one that fits your goal and lifestyle. And, there’s flexibility to move between plans as your needs change. In Part Two, there’s tons of mouthwatering recipes that anyone can prepare with ease. And, with an emphasis on vegetables and real food ingredients, the meals are sure to be nutritious as well as delicious. 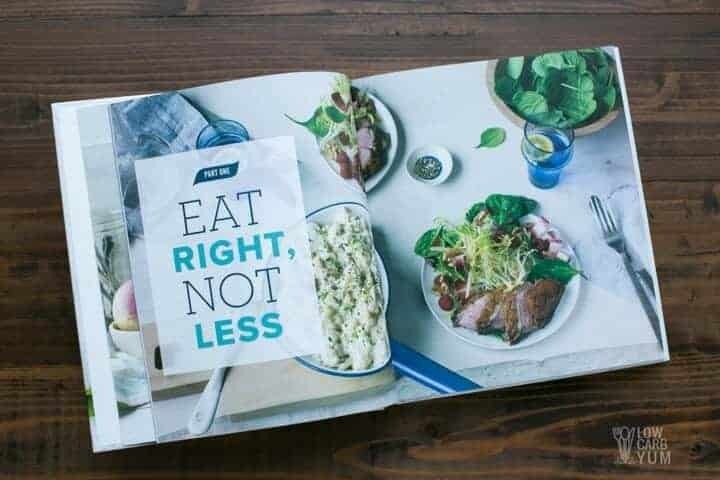 Even if you’ve been following a low-carb eating plan for a while, the “Atkins: Eat Right, Not Less” book is worth buying for the recipes. 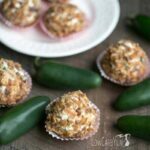 There’s a lot of variety with foods even the pickiest eaters will enjoy. 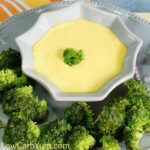 The total carbs, fiber, protein, fat, and amount of foundation vegetables is provided for each recipe. With Atkins, you’ll be incorporating healthy vegetables into the majority of your meals. Atkins Eat Right, Not Less is a good read for anyone interested in the low carb way of eating. The book is a great introduction to a low-carb lifestyle. But it’s also a fantastic cookbook for those who have reduced the amount of carbs in their diet. To learn more about this new book, head over to the Atkins website. And, be sure to check out the featured recipes shared from the book. 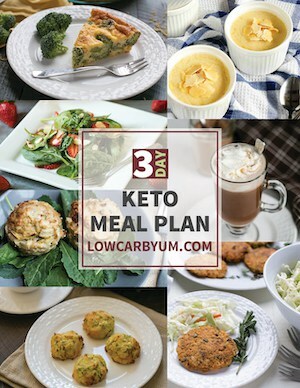 The great thing is that all of the recipes at Low Carb Yum also fit in with any of the Atkins plans. Which Atkins plan fits you best? Love Collette’s books! She is literaly a healthy eating genius. I wang to try going on a low carb diet early 2018. I’ve picked up 20lbs this year with severe depression and anxiety so it’s time for me to drop it off! I am tired of feeling like crap. The new year is a great time to make a change. If you need some support, come join us on our low carb Facebook group.